Balance is one of those things that is not instinctive. Babies have to learn it for basic walking to occur, and gymnasts and dancers and their ilk must learn it to perform in their chosen professions. Musicians also need to have a certain amount of balance, knowing how to structure a song to give it a feeling of completeness and finality; there is also the balance between the Apollonian and Dionysian dynamics of work, with the former being the orderly and logical, and the latter being the emotional and chaotic parts of a work. At first listen, Fleshgod Apocalypse is fully Dionysian, nothing more than a sonic blur of blast beats and shredding. But upon closer inspection, it lacks any emotion; it’s a near-hour long mathematical send up to Apollonian art. There is a staggering amount of order and logic to what is occurring, with absurdly tight timing and impossibly fast drumming. Technical Death Metal is a bit of an acquired taste, and to make it Italian Technical Death Metal just adds more level of absurd to it. Not to say that Italians are absurd, more so screaming in Italian is. And there is plenty of that. There are also a lot of symphonic bits that appear throughout the album. The opener sounds quite a bit like the theme from Pirates of the Caribbean, and that feels pops up often throughout the album, usually as a way to segue between two songs. Or to segue between every song. In all fairness, there is a chance that on the Italian Technical Death Metal scene, this album is as fresh as a newly picked bouquet of roses. 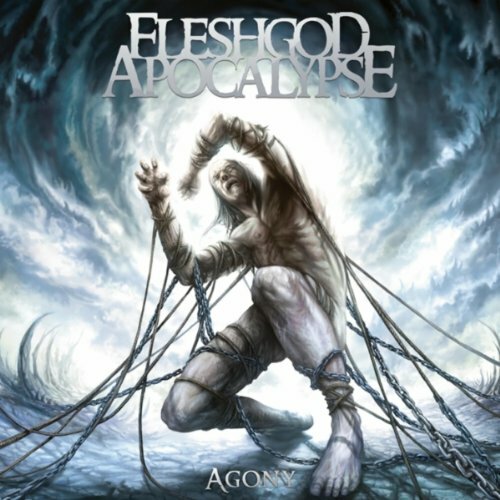 To anyone who has a wider variety of taste in music, Agony, the name of Fleshgod’s second album, is what it’s name suggests: an agonizing exploration of monotony. There really isn’t much to distinguish one track from another, aside from occasional piano pieces or interesting drum fills. Although it is interesting to hear someone yelling something presumably angst-filled in Italian, this album really isn’t worth the effort to download.